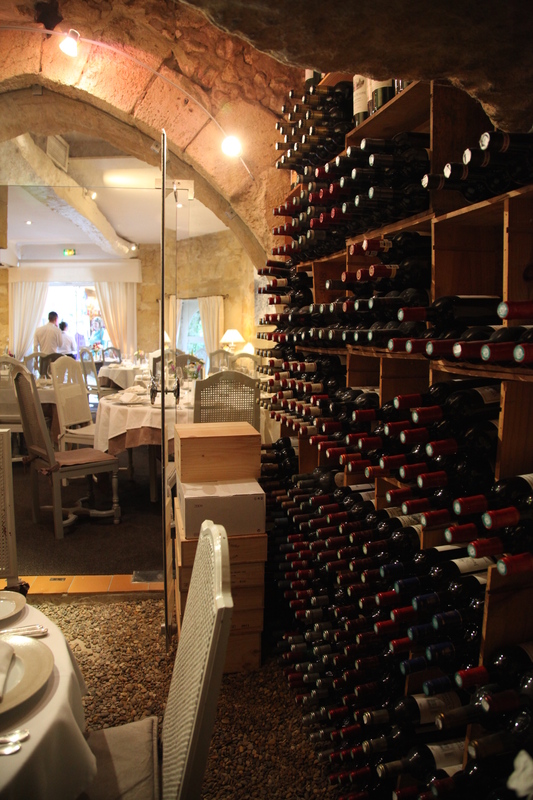 Prestigious wine list comprising more than 350 excellent wines priced from 16€ to 3500€ per bottle. 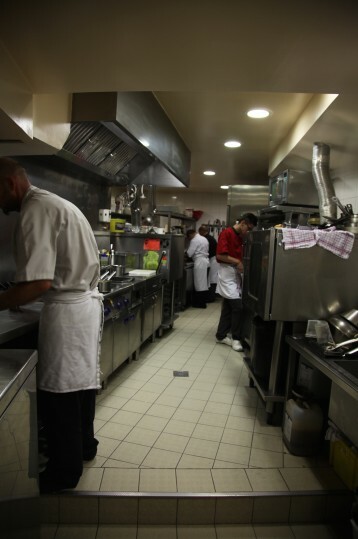 The restaurant Le Tertre and all its staff welcome you to their new website. 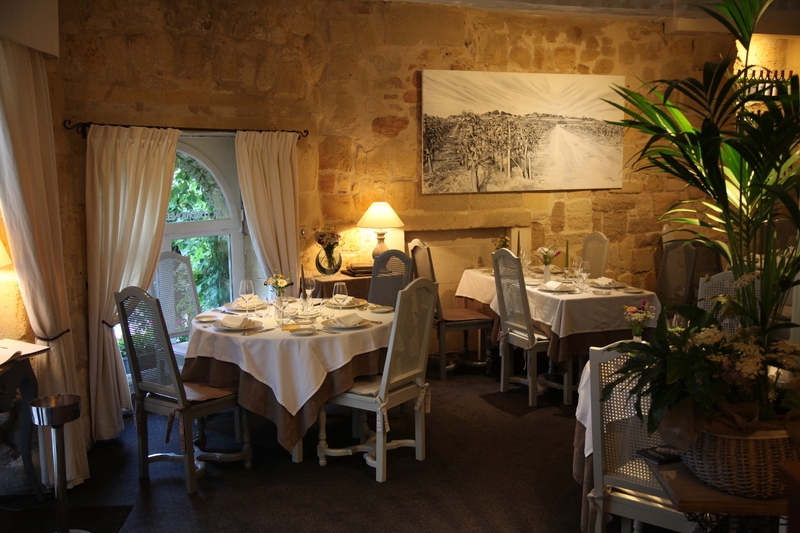 At Le Tertre, you’ll be dining in a cosy, quiet atmosphere that’s ideal for a romantic evening. In summer, you can choose one of our three tables for two outside on our small terrace and dine surrounded by flowers on trellises. Indoors, we have several tables and room for up to 28 people – ideal for lunch or dinner with your family or friends – along with discreet piano jazz background music. 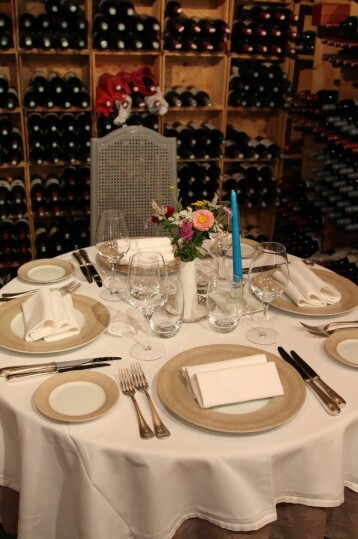 You can even reserve a special table for four people surrounded by Grands Crus in our wine cellar. 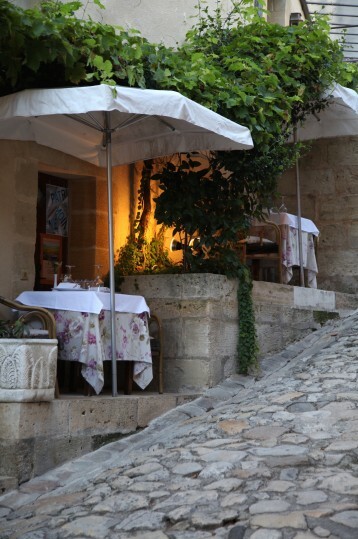 This forms part of the restaurant and has been carved directly out of the surrounding rock. 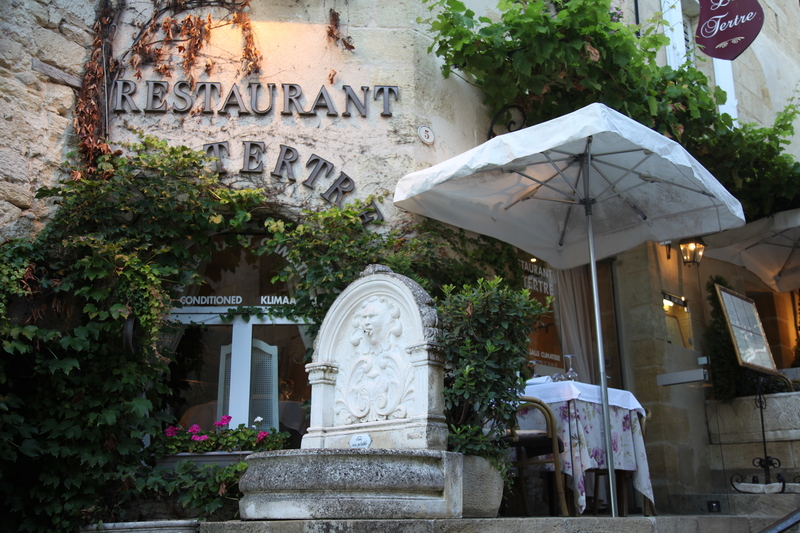 We are located right in the centre of the medieval village of St. Emilion, in one of its most typical little pedestrian streets – the Rue du Tertre de la Tente – situated just 20 yards from the monolithic church. You’ll love our sophisticated ambience as well as our regional specialities carefully made with fresh local produce. The menu is renewed frequently to reflect the changing seasons.